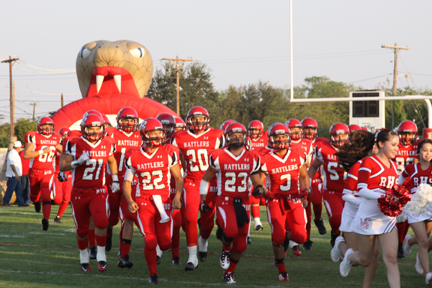 The Rio Grande City High School Rattlers reigned over the Mercedes Tigers on Thursday, September 8, 2011 with a score of 39 to 28. The Rattlers gave it all they had and proved to be successful. All the players demonstrated great team spirit and cohesiveness all night and were totally elated with the final score. Congratulations to the Rattlers on a job well done! (RGCCISD Photo).